GROUP COOKING SYSTEM - PROPANE | You don't compromise on your trail choice and now with the revolutionary Genesis base camp system you don't have to compromise your dinner either. Our eco-friendly ceramic non-stick Fry Pan compliments the unparalleled simmer control to sizzle bacon and perfect eggs while our FluxRing-equipped 5 Liter pot/lid is unmatched for quickly and efficiently boiling water for spaghetti and meatballs. 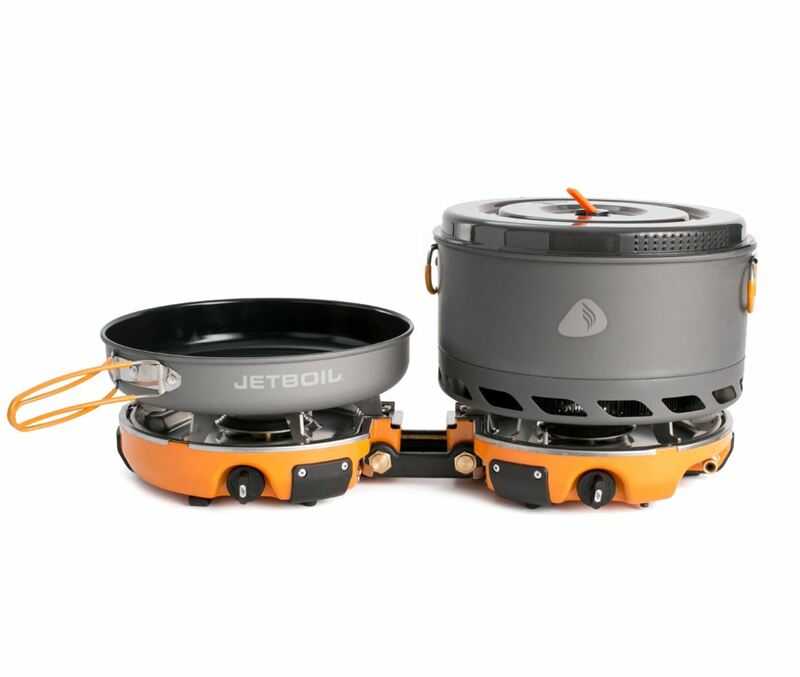 The convenient nesting stove and cookware provide a compact cooking system capable of fueling the most demanding crew before and after your most rewarding adventures.